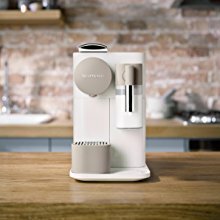 SIMPLE SINGLE SERVE SYSTEM: The Lattissima One is a simple and easy to operate single-serve system. 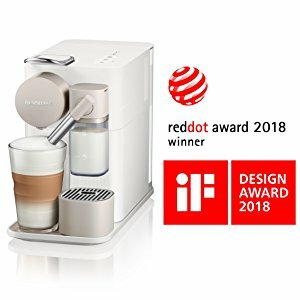 Simply fill the milk jug with the desired amount of milk, then use the machine to froth directly into your Coffee drink for the perfect Coffee & milk drink. 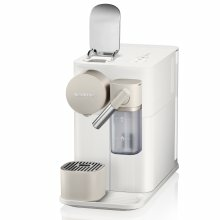 POWERFUL COFFEE MAKER: Nespresso Lattissima One Espresso maker has a 19 bar high-pressure pump that allows for a barista-style result, unlocking the delicate flavor of each Coffee capsule. FEATURES: The Lattissima One has a 33.8 oz. water tank, a great size so refilling is not as frequent as other single-serve machines. This machine also has a fast heat-up time of only 25 seconds for Espressos and 40 seconds for milk beverages. 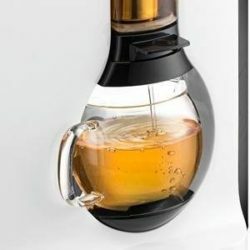 VERSATILE AUTOMATIC COFFEE MAKER: Brew different single-serve Coffee cup sizes at the touch of a button depending on your Coffee needs – Espresso (1.35 oz. ), Lungo (5 oz. 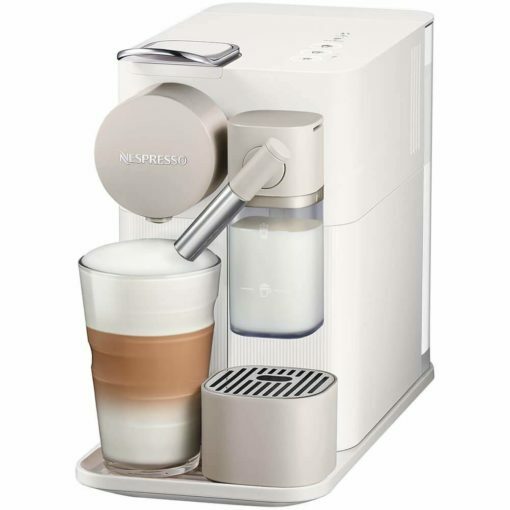 ), froth the perfect milk to create the perfect Cappuccino or Latte in the comfort of your own home. Pour over ice to create your favorite iced Coffee drinks. One capsule. One touch. One perfect latte. 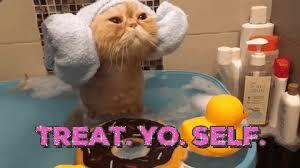 Only by De’Longhi. 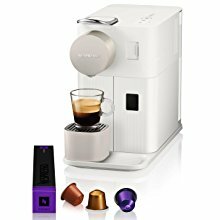 Discover lattes, cappuccinos, espressos and coffees in Nespresso capsule convenience at home using this one-touch, single serve espresso machine. Its new and innovative fresh milk system takes simplicity to the next level when it comes to recipe preparation or cleaning. 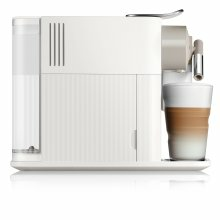 Lattissima One is equipped with a unique De’Longhi single-serve system. Just fill the milk jug with the amount of milk you want for your drink. 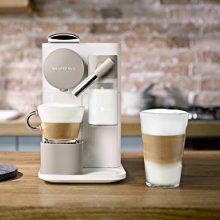 The machine will froth it directly into your cup and brew your coffee for a perfect Latte or Cappuccino. The cleaning process is very simple as the milk jug is dishwasher safe. 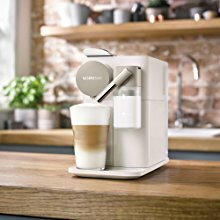 The machine allows the preparation of several beverages accessible through 3 buttons only: Espresso, Lungo and milk button for Latte and Cappuccino (one touch milk system). 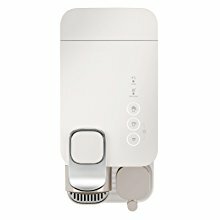 Lattissima One is the most affordable and compact machine within the range, this convenient one touch milk machine fits perfectly in any kitchen. It also features a premium design with qualitative finishing material such as a chromed lever and subtle gloss and matte line patterns. Used capsules automatically eject into an internal storage container, and the removable milk tank is dishwasher safe. Reach the perfect heat in just 25 seconds for espresso and 40 seconds for milk beverages. 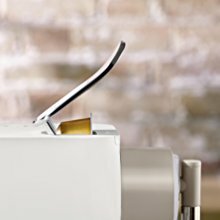 Each Nespresso capsule holds distinctive, locally sourced espresso, creating an Ultimate Coffee Quality without compromise. 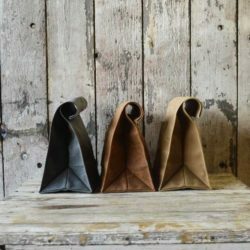 The 19 bar high-performance pump offers barista-style coffee every time, perfectly extracting the delicate flavor and premium aromas of each coffee capsule and creating an incomparably dense and rich crema. 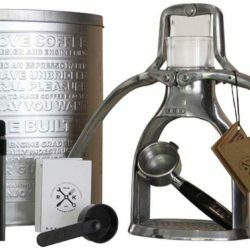 Made in Italy, the machine’s simplistic design empowers you to brew up the authentic flavor you’re looking for.